Roman, Roller or Venetian- What style of blind should I go for? Home / Blinds Advice / Roman, Roller or Venetian- What style of blind should I go for? Buying window blinds is a lot of fun but once you start researching products, you’ll realise that Blinds Hut features many options. How do different blinds compare to each other? Which ones are right for you? Let’s find out. Roman window blinds have a beautiful appearance – when they are raised, the blinds stack up evenly on top of each other, exposing your entire window as much or as little as you want. There’s no overlapping when the window’s being covered and you get the beautiful appearance of fabric. 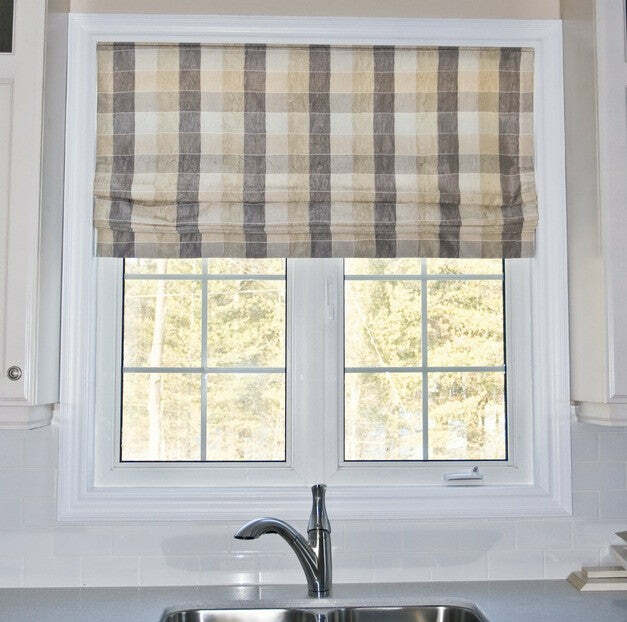 Depending on the fabric being used, some Roman blinds can have blackout features. This means that they are not going to let light pass through. Such blinds are great for creating the perfect sleeping conditions in the bedroom or keeping the room cool. Dim-out is also an option, which, as the name implies, dims out some unwanted light but without plunging the room into complete darkness. Roman blinds come in a wide array of colours and patterns. They can be made from various fabrics including sumptuous velvet, satins and lightweight voile. 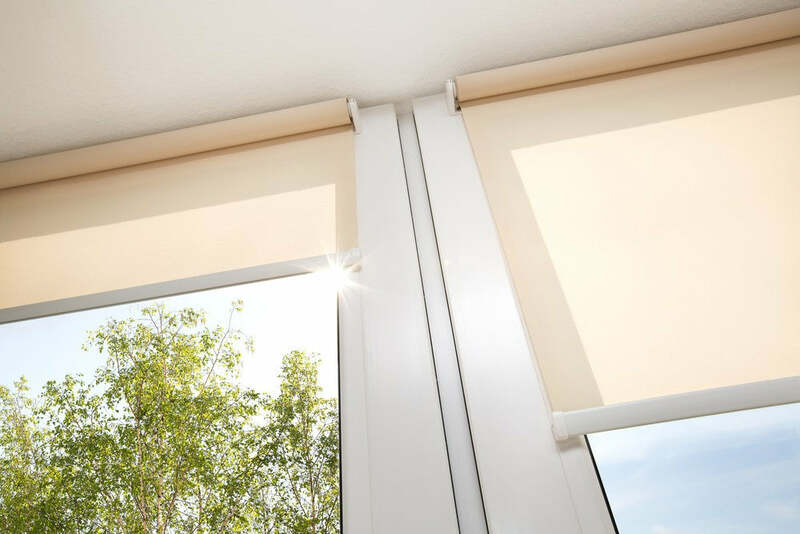 Roller blinds will appeal the most to the people that want a practical, easy to maintain home. They aren’t made of multiple slats. Rather, a single piece of fabric or another material is being used. This construction specific makes roller window blinds very easy to clean, many have a wipe-clean surface or are specially treated to withstand humid atmospheres in kitchens and bathrooms. Apart from being practical, roller blinds can feature an array of colours, patterns and textures. On top of giving you convenience, they will also create the interior design that you’ve always been dreaming of. This type of window blind can be used as the sole window treatment or used in conjunction with curtains to create a 'swags and tails' style of window dressing. Vertical blinds have a sophisticated appearance and as the name suggests, they stand vertically. Such blinds can be used on all kinds of windows but they look particularly impressive when covering larger areas or going from the ceiling to the floor. 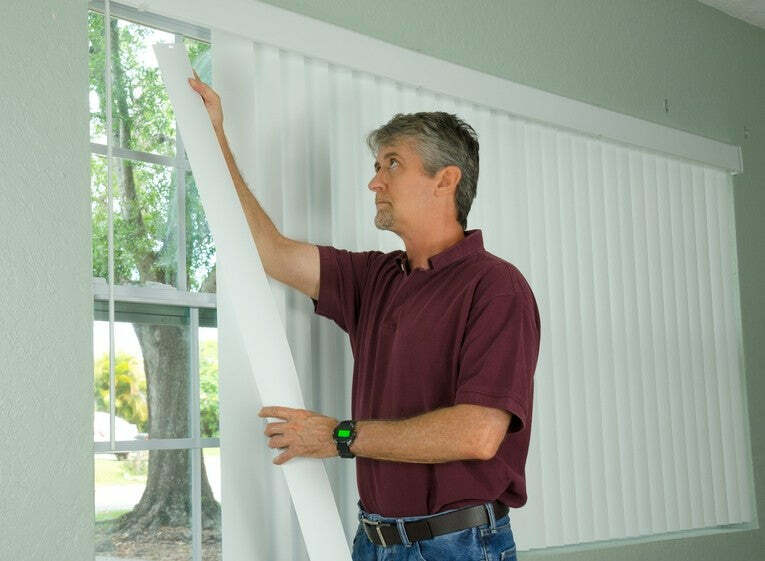 Vertical blinds don’t accumulate a lot of dust due to the orientation of the slats. They are easy to open and close, requiring less strength than the traditional Venetian blinds. Vertical blinds can be manufactured from a wide array of materials, fabric, flat plastic and PVC are all common. These are the traditional window blinds that most people are familiar with. 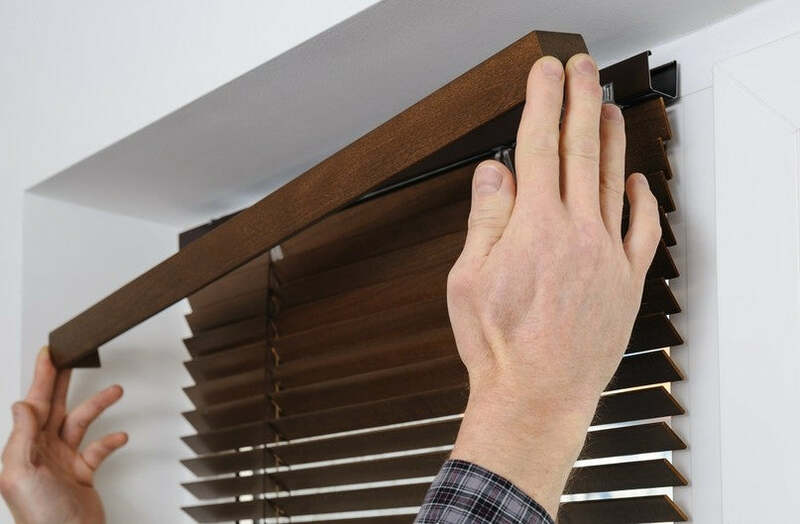 While aluminium Venetian blinds set the standard, these could also be crafted from other materials including real wood. The slats are positioned horizontally on top of each other. These are suspended by a piece of fabric or plastic and all of the slats turn in unison. Anyone interested in a cost-efficient, long-lived solution will be happy with what Venetians bring to the table. Every variety of window blind comes with its advantages and shortcomings. Therefore it’s important to assess your requirements and budget before picking one option over another. Whichever you choose you can be sure that your windows will be beautifully dressed.